Also serving communities of Rohnert Park. There are 12 Memory Care Facilities in the Santa Rosa area, with 7 in Santa Rosa and 5 nearby. The average cost of memory care in Santa Rosa is $6,255 per month. This is higher than the national median of $4,650. Cheaper nearby regions include Windsor with an average starting cost of $3,800. To help you with your search, browse the 13 reviews below for memory care facilities in Santa Rosa. On average, consumers rate memory care in Santa Rosa 4.5 out of 5 stars. Better rated regions include Petaluma with an average rating of 5.0 out of 5 stars. Caring.com has helped thousands of families find high-quality senior care. To speak with one of our Family Advisors about memory care options and costs in Santa Rosa, call (855) 863-8283. Santa Rosa is in the heart of wine country in Sonoma County, California. Sonoma County is a member of the AARP Network of Age-Friendly Communities, which indicates that the elected officials of Santa Rosa and its surrounding communities are actively working toward making the area a safe and pleasant place for residents of all ages, including those with various forms of dementia. Fifteen percent of the city's 175,000 residents are over the age of 65, and while many of its senior residents enjoy living independently, some require specialized care for cognitive disorders such as Alzheimer's disease and Huntington's disease. Seniors in the Santa Rosa area with cognitive diseases who require residential memory care have more than 10 facilities to choose from. 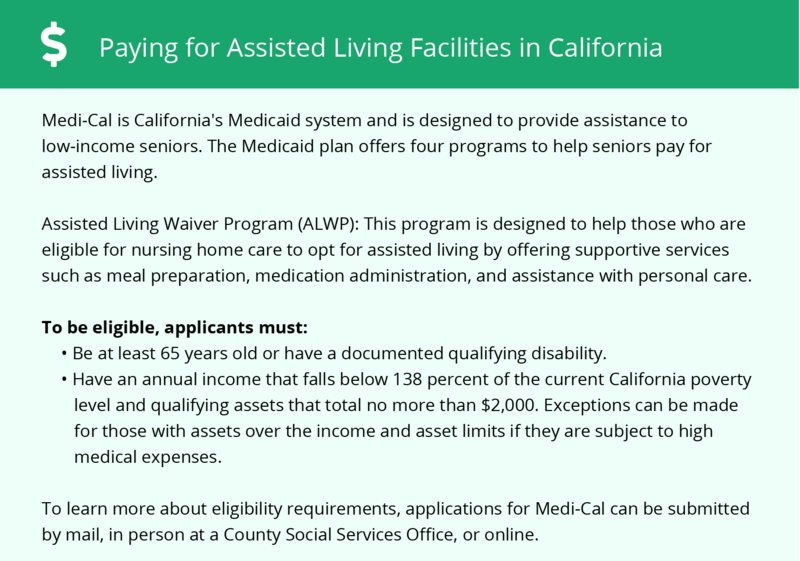 Some of these may be housed in the same community as assisted living facilities, which are officially known as Residential Care Facilities throughout the state of California. Although the overall cost of living in Santa Rosa is nearly 70 percent higher than the national average, seniors who require frequent medical care may find that choosing to reside in the Santa Rosa can be less expensive as the cost of healthcare in the region is 8 percent below the U.S. average. The climate in Santa Rosa is fairly mild, with an average high temperature of 83 degrees in July and an average low temperature of 38 degrees in January. By comparison, the national average high temperature in July is 86.1 degrees, and the national average low temperature in January is 22.6 degrees. The weather in Santa Rosa is ideal for seniors who enjoy spending plenty of time outdoors. The Santa Rosa area is home to world-class medical facilities, including those that specialize in brain health and dementia disorders, such as Santa Rosa Memorial Hospital and Sutter Santa Rosa Regional Hospital, in the event of medical emergencies or illness. The air quality in Sonoma County is among the best in the state according to the American Lung Association. Seniors who suffer from respiratory illness don't need to be concerned about the air they breath affecting their condition while living in Santa Rosa. Memory Care costs in Santa Rosa start around $6,255 per month on average, while the nationwide average cost of memory care is $4,799 per month. It’s important to note that memory care rates in Santa Rosa and the surrounding suburbs can vary widely based on factors such as location, the level of care needed, apartment size and the types of amenities offered at each community. To see a list of free memory care resources in Santa Rosa, please visit our Assisted Living in California page. 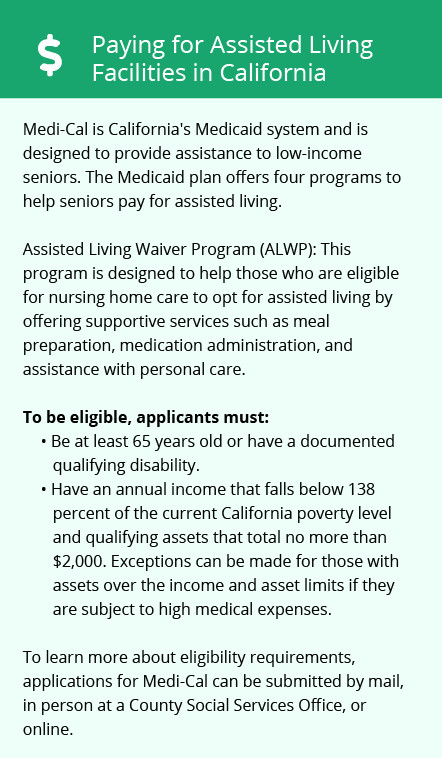 Santa Rosa-area assisted living communities must adhere to the comprehensive set of state laws and regulations that all assisted living communities in California are required to follow. Visit our Memory Care in California page for more information about these laws.